Snakes in northeast Tennessee are found in places such as Great Smoky Mountains National Park and the Oak Ridge Reservation. The majority of native snake species in northeast Tennessee are nonvenomous. These snakes kill their prey through constriction, or suffocating their victims by squeezing them. In the Great Smoky Mountains, the National Park Service claims there are 23 species of snakes. 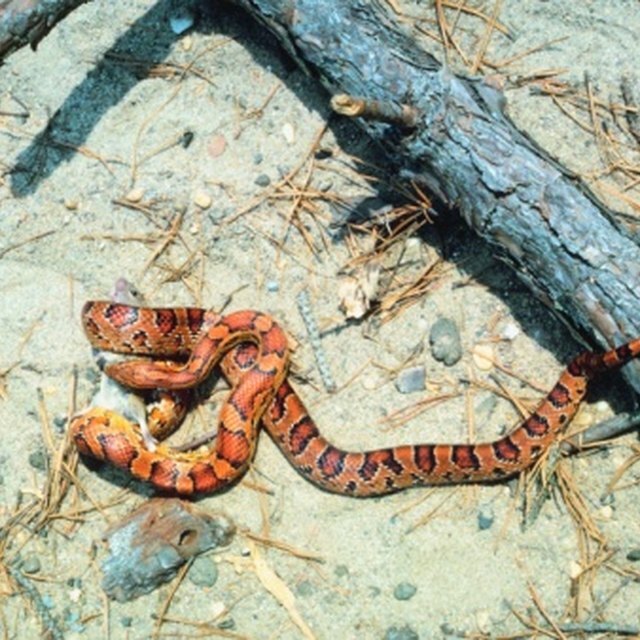 As of May 2011, Tennessee has only two venomous snake species in the northeast section of the state: the timber rattlesnake and the northern copperhead. Timber rattlesnakes, or Crotalus horridus, are seen throughout the Great Smoky Mountains in eastern Tennessee. This snake lives in dry woodland areas and aquatic habitats. The northern copperhead, or Agkistrodon contortrix mokasen, is found throughout northeast Tennessee, including the Oak Ridge Reservation. Venomous snakes produce venom from their fangs to paralyze prey, which may include small rodents, lizards and bird eggs. Water snakes are found in aquatic habitats such as lakes, slow-moving streams and ponds. The only water snake found in northeastern Tennessee is the nonvenomous northern water snake, Nerodia sipedon. The northern water snake's diet consists of rodents, young turtles and fish. This snake is found the Great Smoky Mountain National Park. This snake is often confused with the venomous northern copperhead, since both species have dark skin and live near water. Although northern water snakes are not venomous, this snake species will bite if it feels threatened. In northeast Tennessee, five king snake species exist: eastern milk snake, mole king snake, eastern king snake, scarlet king snake and black king snake. All king snakes species are nonvenomous. These snakes are called “king snakes” because they eat other snakes, including venomous species. Most king snake species dwell above the ground, making them “terrestrial” snakes. However, the scarlet king snake, or Lampropeltis triangulum elapsoides, is a fossorial snake, meaning it lives underground. 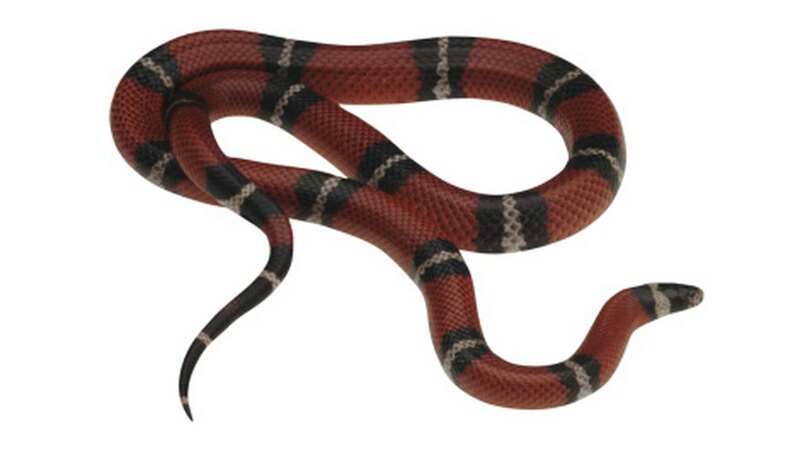 The eastern milk snake, or Lampropeltis triangulum triangulum, and the scarlet king snake are often mistaken for the coral snake, a venomous species, due to the ring patterns on their skin. Storeria is a genus of snakes belonging to the Colubrid family, which makes up for most of the world's nonvenomous snakes. The Storeria genus of snakes features three species in northeast Tennessee: the northern brown snake, the midland brown snake and the northern red-bellied snake. All three of these species are found in the Great Smoky Mountains. Both the northern brown snake, or Storeria dekayi dekayi, and the midland brown snake, or Storeria dekayi wrightorum, have two rows of dark spots on the their dorsal region; the chain of spots runs from the snake's head to its tail. As its name suggests, the northern red-bellied snake, or Storeria occipitomaculata occipitomaculata, has bright red scales on its belly. Davis, Skip. "Snake Species Found in Northeast Tennessee." Sciencing, https://sciencing.com/snake-species-found-northeast-tennessee-8469661.html. 24 April 2017.